1993 - My First Add On! All files included. Click here to download it! 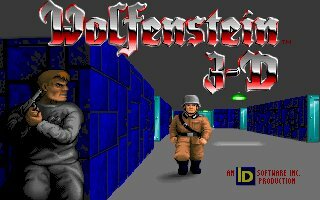 AReyeP's second full add on (made in late 1993) for the 1.0 version of shareware Wolf 3D. Until recently, I'd stated this was my first add on, as the one above had been "lost". if you do get it to work, you'll really appreciate just how simple Mapedit and Floedit are in comparison! The music files included in the zip archive here are in both midi and imf formats so as to make for easy importation straight into your Wolf mod using Darkone's IMF tools. Click here to download them. A small collection of my own voice samples that may or may not be suitable for boss enemies in a Wolf mod.